Mayor Rahm Emanuel cut the ribbon Thursday night on the annex at Wildwood Elementary. CHICAGO (WLS) -- There was a huge celebration to celebrate the completion of a big expansion project at Wildwood Elementary on Chicago's Northwest Side. Before the addition, Wildwood was so crowded that the students were sitting in hallways and stairwells. 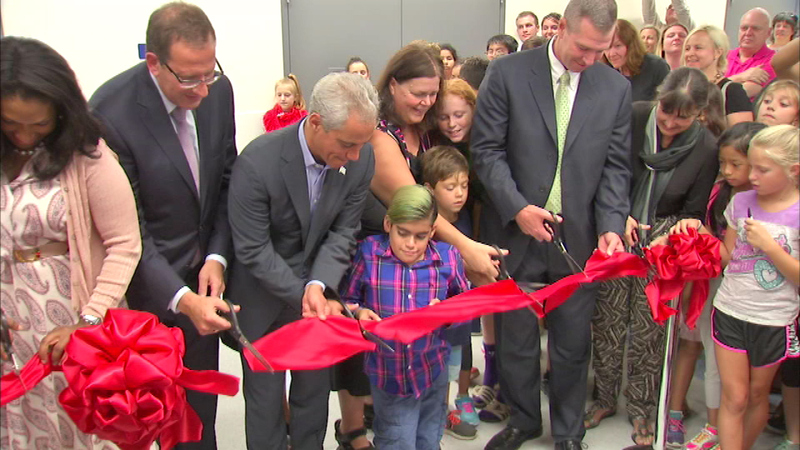 Mayor Rahm Emanuel cut the ribbon Thursday night on the annex, which has 16 new classrooms.